Here at Clash, we love the bold and the brave. We celebrate the adventurous, and glorify the fearless. We bow down to the individuals who rise above expectations to revise not only their own visions, but that of those around them. In this issue, we present a selection of artists who each have stunned our senses by stepping up to the plate or stepping up a gear, hauling us up to heavenly heights with their intrepid strides. The first of this issue’s four cover stars is the most exciting voice in British rap, J Hus. With a Gold-selling, award-winning debut album ‘Common Sense’ under his belt, and a follow-up on the way, the future of British music without J Hus is unthinkable. He’s already bagged awards from NME and MOBO, scoring BRITS nominations along the way, and is now regularly selling-out 5000+ capacity venues, taking the multicultural sound of East London national and beyond. 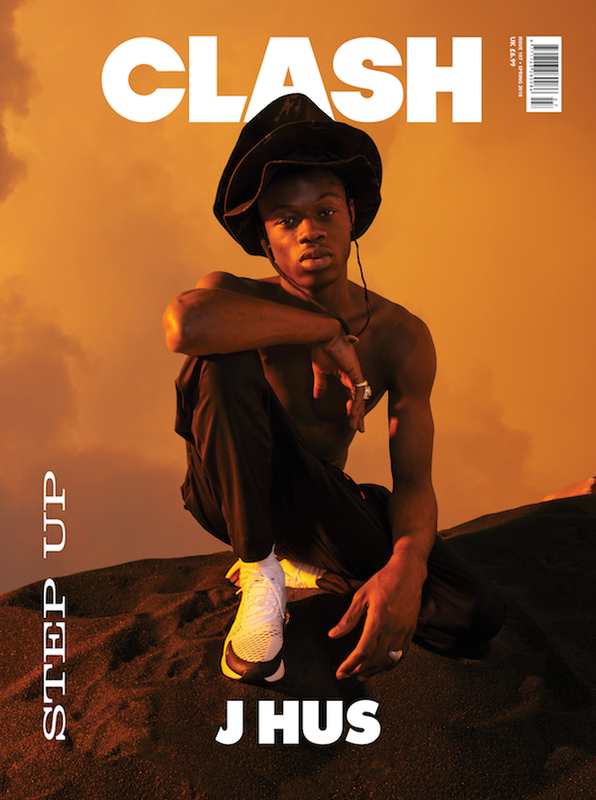 Joining J Hus in this spectacular spring issue is Leon Bridges, Trippie Redd, Jade Bird, Tommy Cash, Tove Styrke, Alice Cooper, Bishop Nehru, and much more. Watch this space every day this week for the remaining covers! In the meantime, you can read the full interview with J Hus right HERE. J Hus wears Nike Air Max 270.